Industry standard SD and HD digital video overlays (VO4-W) for heads-up ROV gyro display, analogue CP, subsea pipetracker, serial sensor data or text video annotation. 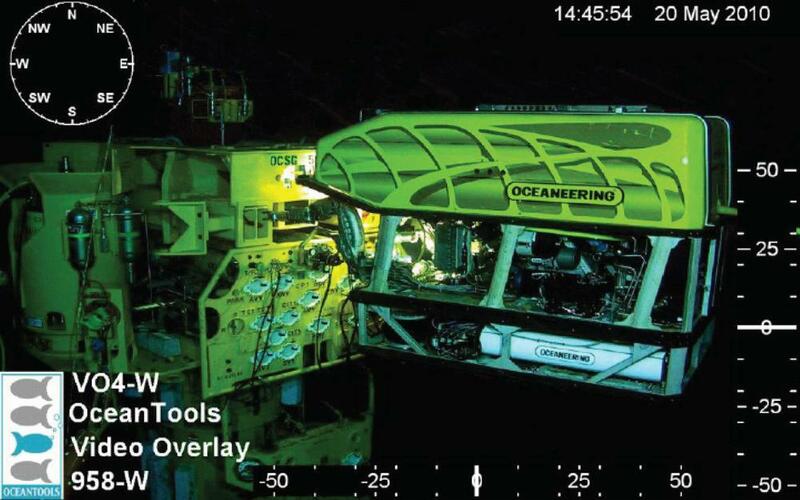 Available in both SD and HD versions, the industry standard OceanTools multiple channel Video Overlay is the overlay of choice for many ROV and survey companies, with hundreds of units deliered globally. The 19" rack-mount system can superimpose a wide range of data from multiple sources as highly configurable text and graphics onto PAL and NTSC video inputs. The HDO also supports HD-SDI and SDI inputs and can act as a video scaler bidirectionally converting between a number of video formats. The optional pipetracker interface offers a heads-up display of pertinent information including depth of burial, altitude, lateral offset, historical data and search coil voltage.